We’ve long presumed the 3.0L diesel V-6 in the 2018 Ford F-150 would be shared with some Jaguar Land Rover products, and it looks like we might have been right. A source within JLR confirmed both the Ford and Jaguar Land Rover engines belonged to the Lion engine family, examples of which have already been emissions-certified in the Land Rover Discovery, Range Rover, and Range Rover Sport. The source, a JLR employee speaking anonymously, says Ford will use a version of the current Land Rover Discovery’s available 3.0L V-6 turbodiesel engine. In the SUV, that engine produces 254 hp and 440 lb-ft torque and is EPA-rated to return 21 city/26 highway mpg. The powerplant is also available in the Range Rover and Range Rover Sport. Pricing and availability are still unofficial, however, and it is likely the new engine will have a surcharge of around $3,500 over the 5.0L V-8 or 3.5L EcoBoost V-6. 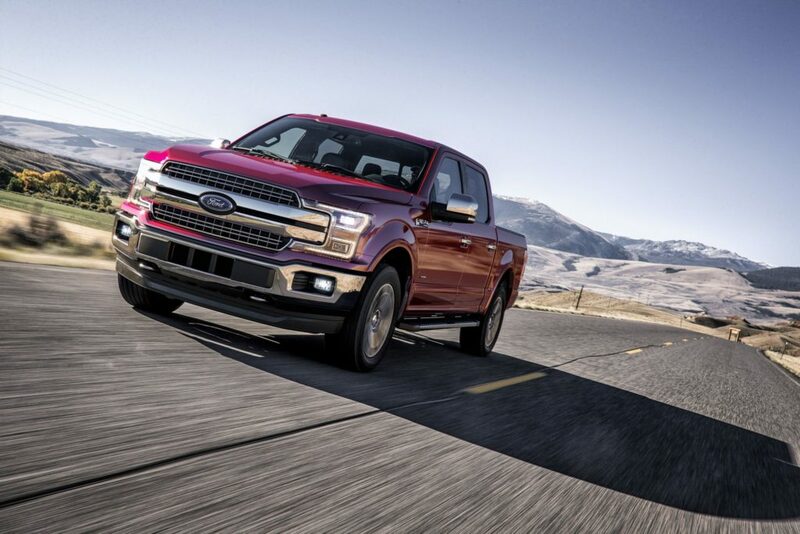 Mated to the F-150’s 10-speed automatic, expect the diesel to offer competitive towing and even better fuel economy than the Ram (currently rated at 29 highway mpg). With one naturally aspirated V-6, one naturally aspirated V-8, two turbocharged gasoline V-6s, and a turbocharged diesel V-6, the 2018 Ford F-150 will offer the most diverse powertrain lineup of any pickup on the market today. And if Ford can avoid the emissions woes that currently plague the Ram 1500 EcoDiesel, the Blue Oval could easily claim its competitor’s niche advantage. For our part, we hope each of the Big Three continue to develop their light-duty diesel powertrains, as we’d love to put each of them through their paces against one another in a bid for oil-burner supremacy. Stay tuned. A representative from Ford reached out to us to clarify some of the information we got from our contact at JLR. We were given the impression that Jaguar Land Rover would be building the engines for Ford’s upcoming turbodiesel F-150, but in reality, Ford builds the engines at its Dagenham, United Kingdom, plant and supplies JLR with the engines found in its diesel-powered Range Rover and Land Rover models. Ford also says the engine is designed, tested, and engineered specifically for use in the F-150 diesel. Choosing the Best Truck WheelsBefore goin offroad make sure you have your Checklist !